It’s time to get the kids prepared for a summer full of football. But with so many big brands and gorgeous designs to choose from, what are the best kids’ football boots available right now? This summer is going to be all about football. You need to cancel the family trips to Florida and Center Parcs, free up your diary, and plonk yourself firmly in front of the television. That’s right- this is a World Cup year, and you need to make sure you don’t miss a thing. Unless, of course, you’re supporting the Three Lions, in which case you’re probably better off looking away as often as you can. When the weather’s warm and the hype is real, this will inevitably result in one thing: your kids will be desperate to play football. With matches pretty much scheduled all day, every day throughout June (no, we can’t wait either), the young ones are bound to catch World Cup-fever and fancy emulating their favourite players. Of course, this means they’ll need a brand-new pair of football boots. After a massive few months of new releases from Nike, adidas and Puma, we’re helping you find the best kids’ football boots of 2018. 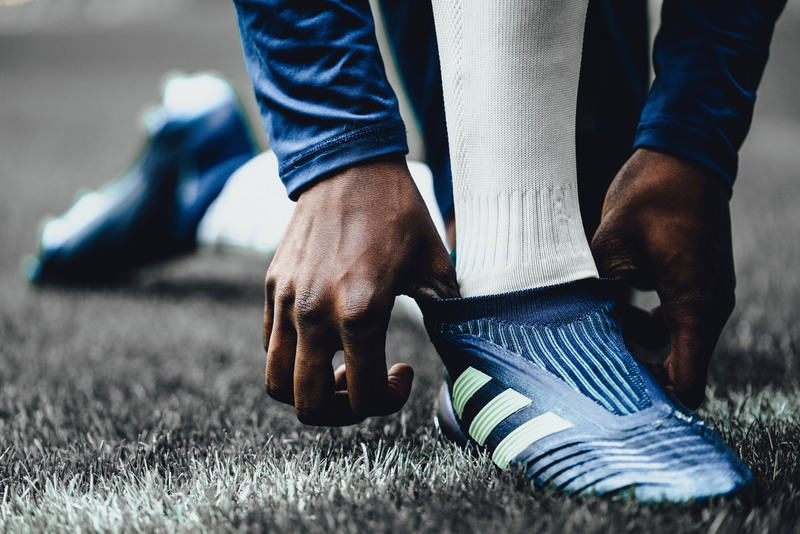 If your kids just won’t stop asking for “a pair of the new Pogba boots”, then they’re probably referring to the new ‘Deadly Strike’ adidas Predator. 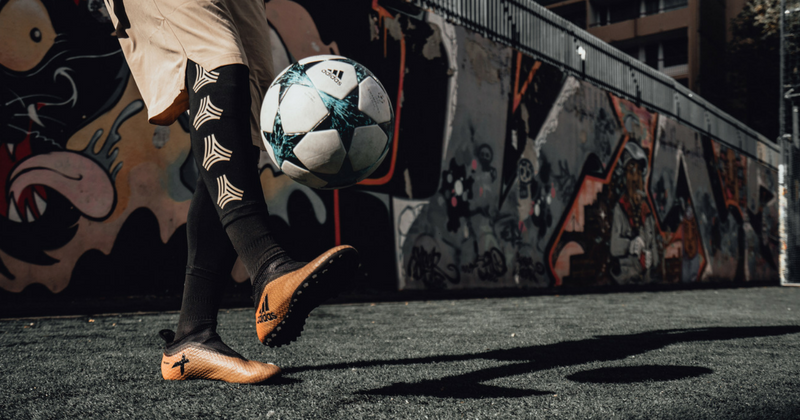 Released at the end of March, these gorgeous football boots have already taken the world by storm, with players such as Pogba, Miralem Pjanic and Manuel Neuer showing them off in the past few weeks. Incorporating a dazzling blue colourway and minty green details, these beautiful boots add a dash of spring freshness to your kids’ locker. Perfect for juniors that enjoy controlling the game in midfield, the adidas ‘Deadly Strike’ Predator is one of the must-have kids’ boots in 2018. You can even pick up the new Predator for all kinds of surfaces. The ‘Deadly Strike’ Predator Tango is proving incredibly popular for kids that play indoors or at the park, while the firm ground edition is great for kids that play on real grass surfaces. The latest version of the Nike Mercurial is probably the most innovative football boot on the market today. Utilising Nike’s ground-breaking Flyknit technology, the upper wraps perfectly around the foot of the wearer and offers unbelievable levels of comfort. When you combine this innovative technology with the outrageously flamboyant ‘Total Orange’ colourway, it’s not hard to see why they’re one of the most popular kids’ football boots right now. 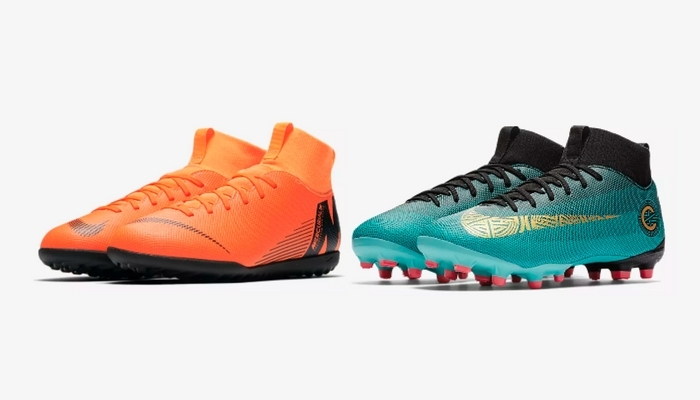 Available for all surface types, you can even pick up the new Mercurial in a more reserved black colourway; whilst a special-edition CR7 version is available for any die-hard Ronaldo fans. Make no mistake, gold football boots are huge with kids right now. Whether you’re buying for a toddler, junior or a teenager, the chances are they’ll fancy showing off their own gold pair to friends on the training pitch. Enter the adidas ‘Skystalker’ X. These football boots are built for players with explosive pace and mind-boggling agility, incorporating a snug-fit collar and a lightweight upper. They’re certainly not all flash and no substance- you only need to look at what Mo Salah is doing to see just how effective they can be. 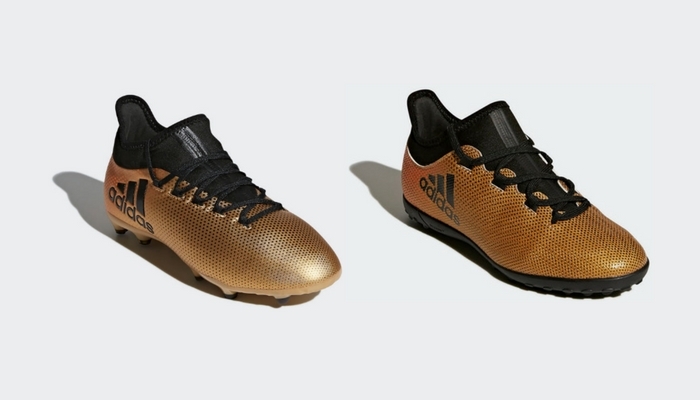 Perfect for little speed demons or any kids that want to join in with the current gold trend, the adidas ‘Skystalker’ X is the number one kids’ football boot right now. It doesn’t matter whether your kids like playing indoors, on artificial turf or on proper grass pitches; because all of these kids’ football boots are available for a wide range of surface types. Shop the selection with FOOTY.COM today to compare prices and bag yourself the best deal!